Security Software - Inner Net Inc.
Our latest anti-malware engine combines signature-based security, heuristic & behavioral analysis and cloud-assisted technologies – to protect your business against known, unknown and advanced threats. It can defend any combination of Mac, Linux and Windows desktops and laptops. Because cybercriminals are continually launching new and more complex malware, we deliver database updates on a much more frequent basis than many other security vendors. In addition, we use multiple advanced security technologies to ensure we deliver greatly improved detection rates – while also cutting the size of updates… so more of your communications bandwidth is available for other tasks. When a new malware item is unleashed on the world, there’s a period of high risk. To deliver zero-hour protection against these threats, Kaspersky Lab technologies and threat intelligence continually evolve to ensure your business is protected from even the most sophisticated, new threats. Whenever an application launches on your corporate network, our System Watcher module monitors the application’s behavior. If suspicious behavior is detected, System Watcher automatically blocks the application. In addition – because System Watcher keeps a dynamic log of the operating system, registry and more – it automatically rolls back malicious actions that the malware implemented before it was blocked. Our innovative Automatic Exploit Prevention (AEP) technology helps to ensure malware can’t exploit vulnerabilities within the operating systems or applications that are running on your network. AEP specifically monitors the most frequently targeted applications – including Adobe Reader, Internet Explorer, Microsoft Office, Java and many more – to deliver an extra layer of security monitoring and protection against unknown threats. For some applications – even though the applications may not be classed as malicious – their activities may be regarded as high-risk. In many cases, it’s advisable that these activities are restricted. Our Host-Based Intrusion Prevention System (HIPS) restricts activities within the endpoint, according to the ‘trust level’ that has been assigned to the application. HIPS works together with our application-level Personal Firewall – which restricts network activity. Network Attack Blocker technology detects and monitors suspicious activities on your corporate network – and lets you preconfigure how your systems will respond if suspicious behavior is identified. With millions of users letting the cloud-based Kaspersky Security Network (KSN) receive data about suspicious behavior on their computers, your business can benefit from improved protection against the latest malware. This real-time flow of data ensures customers can benefit from a rapid response to new attacks – and it helps to minimize the incidence of ‘false positives’. Our award-winning security protects file servers running Windows, Linux or FreeBSD. Optimized scanning processes help to ensure there’s minimal impact on the performance of your servers. In addition to protecting cluster servers, we also defend Microsoft and Citrix terminal servers. If one of your file servers develops a fault, our security technologies will automatically re-launch when the file server restarts. Every minute you have to spend on administration and generating reports, is time you could be devoting to strategically important activities. That’s why we provide a centralized console that lets you manage security on all your endpoints – file servers, workstations and mobile devices – and makes it easy to generate detailed reports. By combining the industry’s most advanced technologies, we defend against the latest mobile threats. Anti-phishing protects against websites that try to steal information or identity details – and anti-spam helps to filter out unwanted calls & texts. Flexible control tools let you block the launch of unauthorized applications and block access to dangerous websites. Rooting and jailbreaking incidents are automatically detected – and the devices are blocked. Our ‘app wrapping’ technology lets you set up special containers on each device. Corporate applications are stored in the containers – totally separated from the user’s personal data. You can enforce encryption for all containerized data and prevent data from being copied and pasted outside the container – plus you can request additional user authorization before containerized applications are allowed to launch. If an employee leaves your business, the remotely operated Selective Wipe feature lets you delete the corporate container – without deleting the device owner’s personal data and settings. With improved mobile device management (MDM) capabilities, it’s easy to apply group or individual MDM policies to Microsoft Exchange ActiveSync and iOS MDM devices – through a single interface. Support for Samsung KNOX lets you manage various settings for Samsung devices. Remotely operated security features help to protect corporate data on missing devices. Administrators and users can lock the device, delete corporate data and find the device’s location. If a thief changes the SIM card, our SIM Watch feature sends you the new phone number – so you can still run the anti-theft features. Support for Google Cloud Messaging (GCM) helps ensure Android phones receive anti-theft commands rapidly. Our special Self-Service Portal makes it easy to enable personal mobile devices onto the corporate network. In addition, the portal gives users remote access to key anti-theft features – so users can rapidly respond to the loss of a device and reduce the risk of data loss, without adding to the load on administrators. A single centralized console lets you manage mobile devices – and their security – and makes it easy to apply consistent policies across different mobile platforms. In addition, our Web Console lets you manage mobile devices and their security – plus the security of other endpoints – from anywhere you can get online. *Some features are not available for some of the supported mobile platforms. Our Application Control is the industry’s most comprehensive implementation. We’re the only security vendor that has invested in establishing its own Whitelisting Lab that checks applications for security risks. Our database of whitelisted applications includes over 1.3 billion unique files – and it’s growing by a further 1 million files per day. Application Control and Dynamic Whitelisting makes it easier for you to run a Default Deny policy that blocks all applications, unless they’re on your whitelist. If you’re looking to introduce or update a Default Deny policy, our new test mode lets you set up the policy in a test environment – so you can check your policy is correctly configured, before you ‘go live’. Device Control tools make it easy to manage which devices are allowed to access your corporate IT network. You can set up controls that are based on the time of day, geographic location or the type of device. You can also align the controls with Active Directory – for granular administration and policy assignment. Administrators can also use masks in the creation of Device Control rules – so multiple devices can easily be whitelisted for use. Our Web Control tools let you set up Internet access policies and monitor Internet usage. It’s easy to prohibit, limit, allow or audit your users’ activities on individual websites or categories of sites, such as games websites, social networks or gambling sites. Geographic and time-of-day controls may be aligned with Active Directory – to help in administration and setting policies. 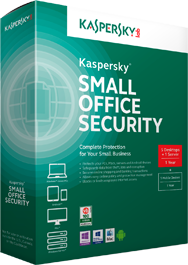 Kaspersky Endpoint Security for Business SELECT includes Kaspersky Security Center – a single unified management console that gives you visibility and control of all of the Kaspersky Lab endpoint security technologies that you’re running. Kaspersky Security Center lets you manage security for your mobile devices, laptops, desktops, file servers, virtual machines and more – with the convenience of a ‘single pane of glass’ console. Because tightly-integrated code results in products that deliver improved security, performance and manageability, all of our endpoint technologies have been developed by our own in-house team. All of our endpoint protection functionality is contained in the same codebase – so there are no incompatibility issues for you to deal with. Instead, you benefit from seamlessly integrated security technologies that do more to protect your IT environment – while centralized management saves you time. With multi-layer defenses against malware and attacks, we protect your business against known, unknown and advanced threats. In addition to security for Windows, Mac and Linux workstations, we provide security for file servers running Windows or Linux. Innovative mobile security technologies protect a wide range of mobile platforms against malware, phishing attacks, spam and more. Our mobile technologies give you visibility of all mobile devices on your network – so you can apply rigorous mobile security and management policies on every BYOD or corporate-issued mobile device. Because Kaspersky Endpoint Security for Business SELECT provides an integrated IT security solution, you can manage all security functions – for mobiles and other endpoints – via one centralized console. Application Control, Device Control and Web Control tools help you to manage how applications run, block the use of unauthorized removable devices and implement Internet access policies. These powerful controls work together with our endpoint protection technologies – to help you ensure your corporate security policies are applied across your business. 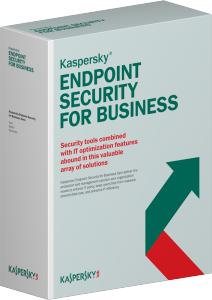 Kaspersky Endpoint Security for Business SELECT includes Kaspersky Security Center – a highly integrated management console that gives you centralized control over all the Kaspersky Lab endpoint security technologies you’re running. We also provide a choice of preconfigured policies – so you can rapidly implement security across your network. Business IT environments are more complex than ever before. At the same time, cybercriminals and hackers are using increasingly cunning and sophisticated methods to attack all sizes of businesses. If IT security provisions and IT management don’t evolve to meet these new challenges, businesses are putting themselves at risk. Kaspersky Endpoint Security for Business ADVANCED delivers our award-winning threat protection technologies plus an array of other security functions – so your business benefits from multi-layer defenses. Vulnerability scanning and patch management technologies help to eradicate vulnerabilities within your operating systems and application software, while data encryption helps to safeguard confidential business information if a laptop is lost or unauthorized users try to steal data. For today’s complex corporate IT environments, the sheer volume of essential, day-to-day systems management tasks can be overwhelming. Our systems management functionality automates a vast range of security and administration tasks – to help reduce IT management complexity. You gain improved visibility of your IT network – and you can control multiple security and administration functions, via a single integrated systems and security management console. Because unpatched vulnerabilities – within operating systems & applications – have become one of the most common ways for cybercriminals to attack corporate networks, we’ve developed automatic vulnerability scanning and patch management & distribution technologies. By giving you centralized control over vulnerability assessment and the distribution of the latest patches, we help you to reduce your exposure to threats. The loss of a laptop or mobile device can result in confidential data falling into the wrong hands. Our flexible data encryption functionality helps you to enforce the encryption of files, folders, disks and removable devices. Data encryption is easy to configure and can be managed from the same management console that you use to control all other Kaspersky Lab endpoint security technologies running on your network. Our class-leading, multi-layer defenses against malware and attacks protect Windows, Mac & Linux desktops & laptops – and Windows & Linux file servers – against known, unknown and advanced threats. These technologies are further complemented by Application Control, Device Control and Web Control tools for desktops and laptops. Our powerful control tools help you to manage how applications run, block the use of unauthorized removable devices and implement Internet access policies. Rigorous mobile security technologies help you to protect the most popular mobile platforms against malware, phishing, spam and more. Furthermore, by enabling various Mobile Device Management (MDM) and Mobile Application Management (MAM) functions – via a single interface – Kaspersky Endpoint Security for Business ADVANCED saves you time and makes it easier to roll out unified mobile security policies. By including Kaspersky Security Center – our highly integrated management console that gives you centralized control over all of our endpoint security technologies – Kaspersky Endpoint Security for Business ADVANCED helps to cut management complexity. Integration with two of the most popular security information and event management (SIEM) products – HP ArcSight and IBM QRadar – helps ensure enterprise-level businesses get the real-time monitoring data they need.